An eye-catchingly adventurous design, an exercise in chrome, plastic and wood, the Jaguar guitar’s delightfully off-kilter aesthetics and unique sound made it a darling of underground artists from the 1970s to today. 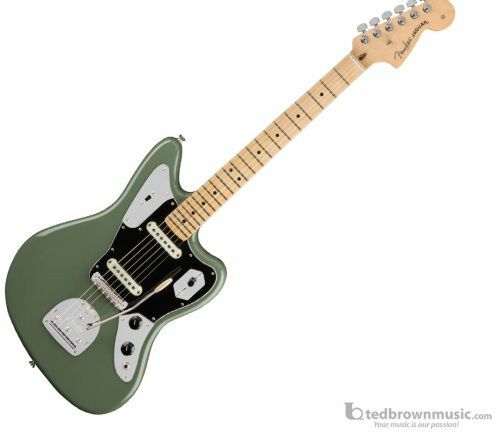 Though it was the pinnacle of guitar technology when it was released in 1962, time (and technology) marches on so we updated the Jaguar with modern features and materials, hot-rodding it for today’s players. The result? The American Professional Jaguar, a dangerous instrument with bite.